$10,000 price drop.... This is it! Awesome 2100sq.ft two storey home situated on a prime, pie shaped lot, backing onto greenspace and with lake views from the rear deck and yard. Built in 2009 on a quiet cul-de-sac street with wonderful neighbours, large rear yard... all the space you would need. The home has gleaming and warm hardwood floors which accent the stylish living area. Cozy living room receives plenty of natural light and comes complete with fireplace & pre-wired surround sound. Open kitchen area with eat in nook, and formal dining room. The upper level is comprised of three bedrooms and an additional second floor loft area for office/family room option. Large master bedroom with spacious ensuite bath, and two generous bedrooms complete the floor plan. The basement was professionally finished and is ready for use, complete with full bath and guest area. 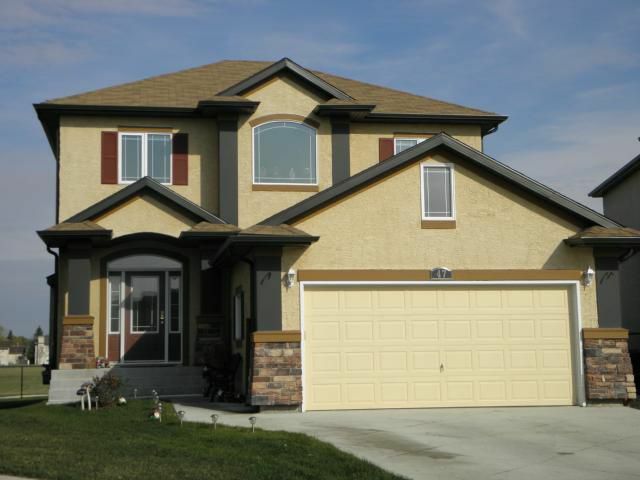 Built in '09, this home is still under the Manitoba Home Warranty Program. Ready to be impressed? See this one soon!